Where Are All The Close-Up Photos Of Ceres? NASA's Dawn spacecraft arrived in orbit around Ceres on March 6th – so why haven't we seen any close-up photos of the dwarf planet? If you're the kind of person who puts stock in conspiratorial internet chatter, you already know the answer. It's that NASA is hiding evidence of alien life. Congratulations, you've cracked the case. The lack of photos obviously has absolutely nothing to do with the fact that the Dawn spacecraft is currently orbiting over Ceres' far-side, i.e. the side facing away from the sun, i.e. the side that is, at this very moment, completely shrouded in darkness and otherwise unphotographable. Nope. That's not it at all. 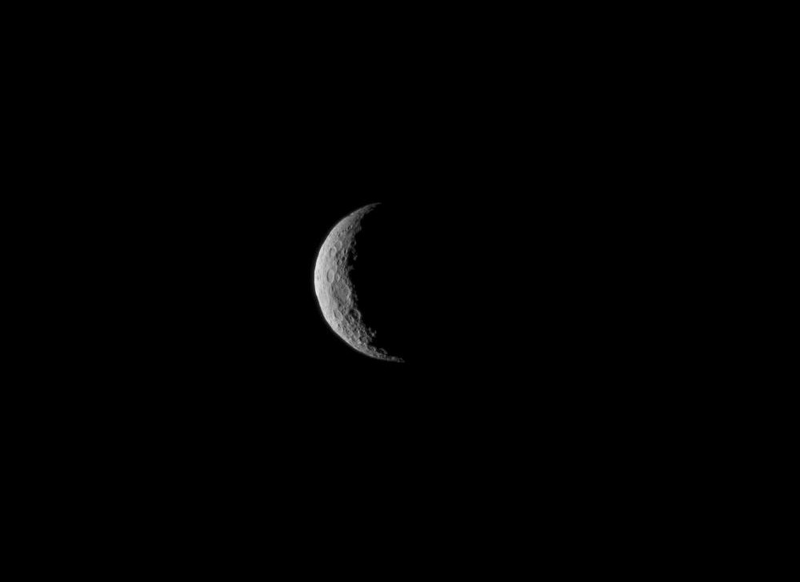 Dawn will get its first clear, close-up view of Ceres' illuminated side come April. Until then, enjoy the alien conspiracies.